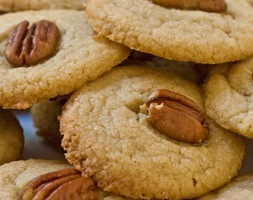 This pecan cookie recipe is awesome. The pecan in the middle is almost like a treat in itself. I'll sometimes substitute macadmia nut.